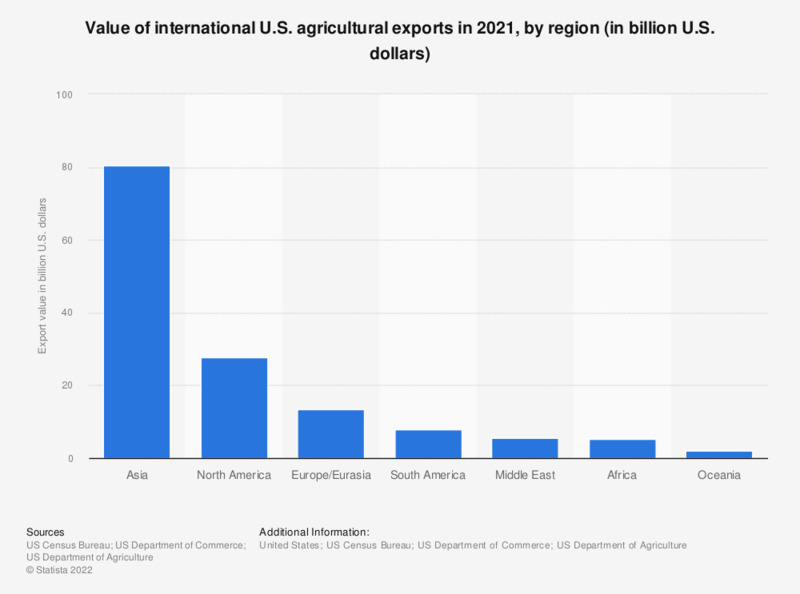 The timeline shows the value of international U.S. agricultural exports in 2017, by region. The value of U.S. agricultural exports to Oceania amounted to about 1.9 billion U.S. dollars in 2017. Trans-shipments through Canada have not been allocated to final destination, but are included in the total.